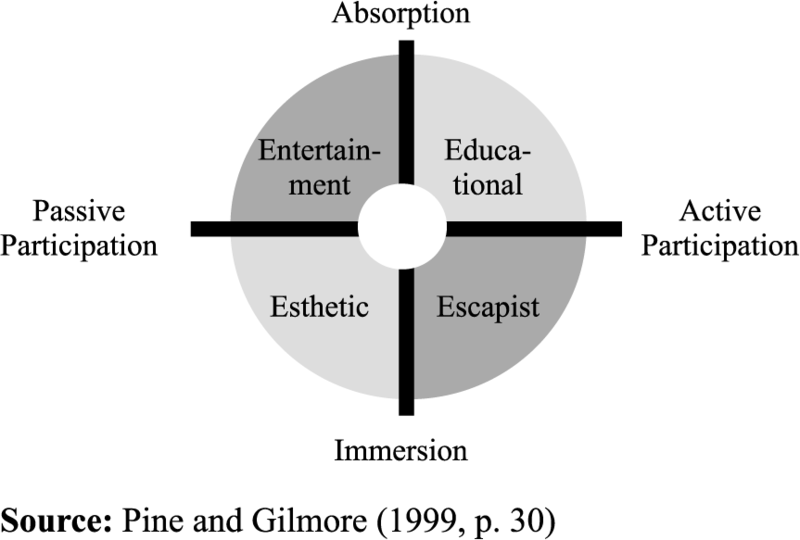 According to Pine and Gilmore (1998) an experience is as real an offering as any service, good or commodity. An experience occurs when a company intentionally uses services as a stage, and goods as props, to engage individual customers in a way that creates a memorable event. The following – Magnum Pleasure Store and Restaurant “Dans le noir?” – are nice examples of companies that provide unforgettable and unique experiences. Magnum is a well known, premium ice cream brand, which in order to increase the customer involvement, started to enable the customers to create their own magnum ice cream. 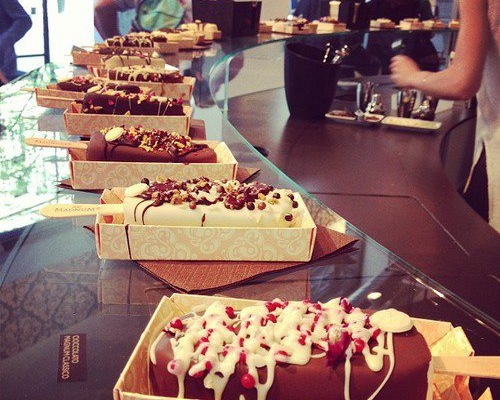 “Welcome to the world of Magnum Pleasure!” that is how they call the pop-up store concept. Magnum is well known for its high quality ingredients, which is an ultimate pleasure for all senses. To enhance the experience of tasting, the unique concept of temporary pop-up stores was created. There customers are invited to take part in the creation of their very own ice cream – they just need to chose the ingredients and professional staff will prepare the ice cream. This enables them to have their own unique Magnum. The themed store is concise and compelling – it reflects to the image of luxurious brand – celebrities at the opening of the store, the rich colors of gold and chocolate, high quality ingredients to create the ice cream, kind and professional staff. All together it creates a sophisticated and pleasant experience to customers. Significant positive cues as the name of the store “Pleasure Store”, helpful staff advice let customers feel create positive associations and memorable experience. Magnum. Moreover, Magnum does not provide a platform to share the experience and show your friend the ice cream you made.It would enhance the experience if people could tell their friends about their creation. In order to dispose the negative cue of unhealthy sugar portions, Magnum might need to emphasize the use of natural ingredients and offer different sizes. 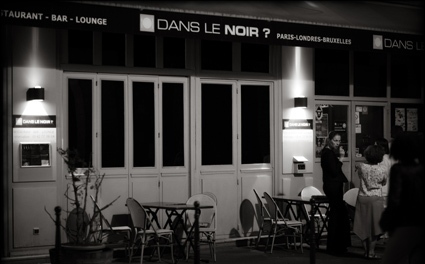 Dans le noir? (In the dark?) – is a unique restaurant, offering an unforgettable experience of dining in the darkness. The restaurant is located in 5 countries all over the world (USA, England, Spain, France and Russia), where customers are guided and served by blind people. The experience of dining in the dark helps to shake the senses of the customers and to re-evaluate their perception of smell and taste. For once the blind becomes sighted and guides customers into new, intriguing and sensual environment. The founders of the restaurant emphasize the awakening of the senses – when the sense of sight is restrained, other senses (smell, touch) become more active. For customers it is interesting and unforgettable experience, which they will never forget. 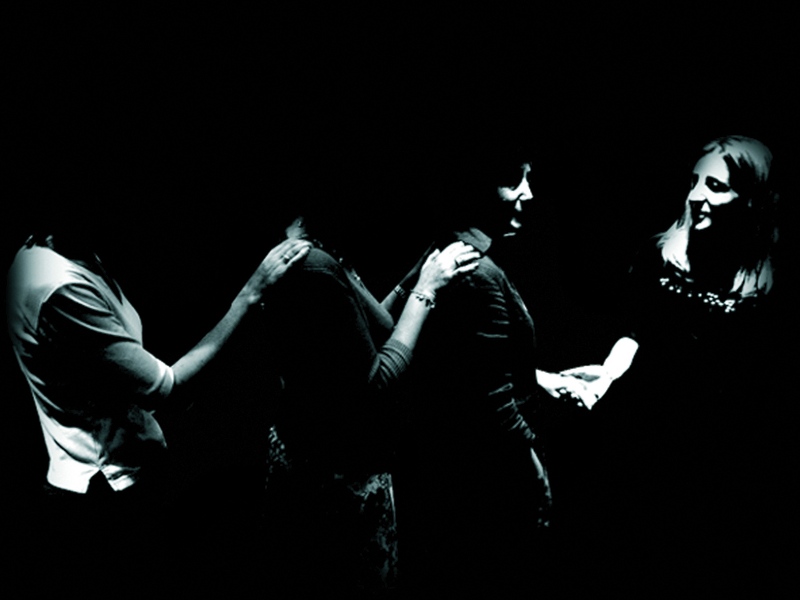 Moreover, the social experience is highlighted: when darkness kills the shyness and encourages conversations. Sharing experience is always nice, and it becomes even more interesting to do that surrounded by strangers – you never know who is sitting next to you. In order to develop a positive perception of the difference and to improve the integration of disabilities at work, the majority of staff is people who are visually impaired. Even though this restaurant is thrilling and touching, the unfamiliarity of darkness might cause discomfort for some customers – they can feel anxiety, stress and this would bring them negative experience. Some customers might also get suspicious when they cannot see what it is in the plate. The following is the comparison of the difference in customer experience in Magnum Pleasure Store and restaurant Dans le noir?